Aikido is a Japanese martial art rooted in several styles of Jujitsu, in particular Daitoryu-(aiki) jujitsu, as well as kendo and judo. It was developed in the mid 1920’s by Morihei Ueshiba (pictured at left), and officially recognized by the Japanese government in 1940. The word Aikido is composed of three Japanese words. Ai, meaning harmony; Ki, which means spirit or energy; and Do, the path or way. Taken together Aikido is the way of harmony with the energy of the universe. The ultimate goal of Aikido is peaceful resolution of conflict. Aikido focuses on using the energy of an opponent’s attack to gain control of them. Techniques are performed by blending with the motion of the attacker and redirecting the force of the attack rather than opposing the force head-on. This requires a minimal amount of physical energy, as the aikidoka (aikido practitioner) "leads" the attacker's momentum using entering and turning movements. The techniques are completed with various throws and/or joint locks. Atemi (punching or kicking) is used in static and dynamic situations where an opponent’s balance needs to be broken, or as a distraction to enable effective application of technique. Aikido is first and foremost a martial art, and as such is a method of refining one’s character through diligent training. Aikido is not only an excellent form of self-defense but also teaches the importance of awareness, balance, center, posture, and breathing. Valley Forge Aikido was established in 2014 with these principles in mind. Our goal is to provide the highest quality training in the traditional aspects of Aikido. We train with self-defense in mind at all times. We strive to build our students one step at a time. Our Aikido is very practical and energetic. We strive to promote a friendly and cooperative atmosphere, which helps our students truly learn and understand the art. We want each student to develop a solid foundation by working with other students of all different sizes, ages and ranks. 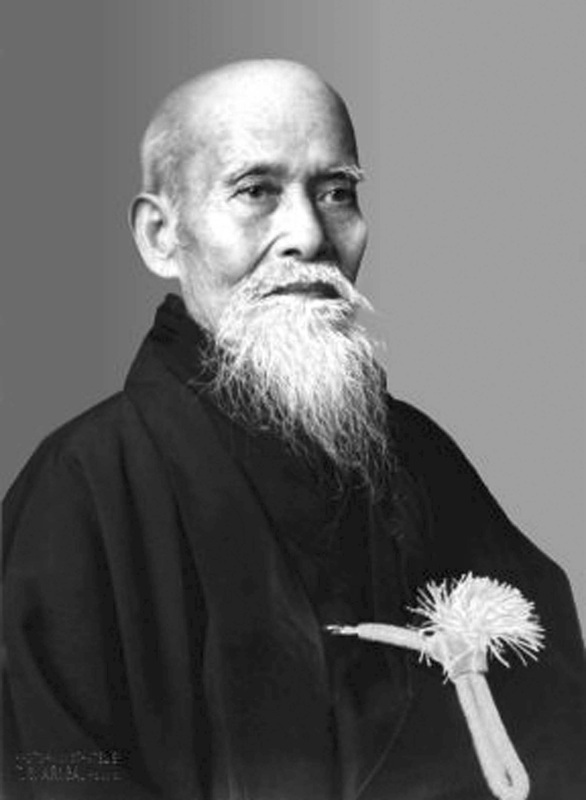 Morihei Ueshiba, believed the true warrior to be the protector of all things. He did not believe in traditional competitions, however he would stress intensive training (shugyo) to help one perfect their technique. He would also stress that we must make Aikido our own. At Valley Forge Aikido we believe there is always room to improve. We work hard at keeping true to the art while developing and refining our techniques to fit the modern world we live in.